Its official!!! 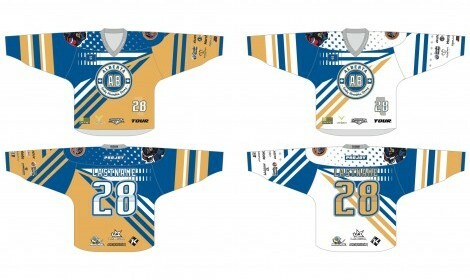 The State War’s Jerseys have been released!! Here is your preview of this years official State War’s Jersey! This is only a small part of the Team Alberta gear that goes with being a member of Team Alberta! If you missed out on team gear last year – or would like an official team Alberta shirt from a previous year – there is a very limited selection of Team Alberta “official” shirts & shorts left, contact Sue Cardinal for more information- some gear from the previous year will also be available for sale at the evaluations. Coaches, managers and team Alberta Parents samples of the official gear for 2016 State Wars teams will be at evaluations on May 8. Sizing and orders will be taken at the try out and must be paid for in advance.